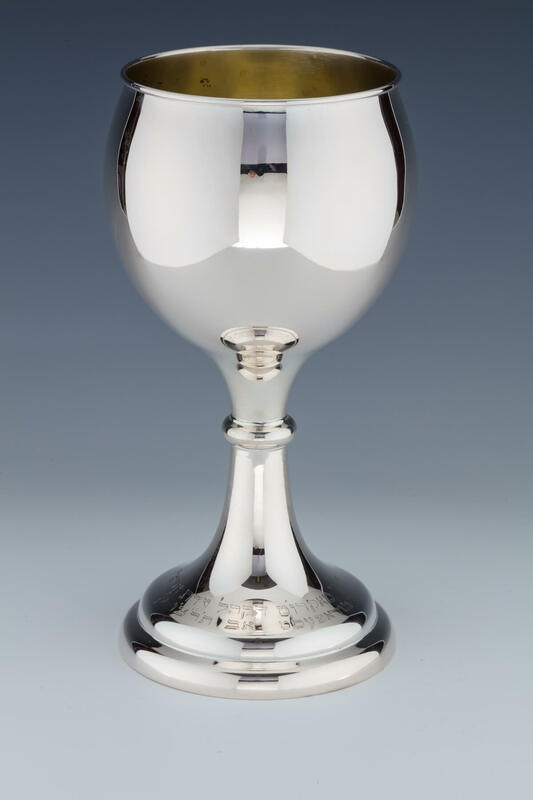 A MONUMENTAL SILVER PRESENTATION GOBLET. Budapest, 1937. Exceptionally large. Engraved on base “GIVEN BY THE HOLY CONGREGATION ADAS ARTAH OF BUDAPEST”. 10.4” tall.